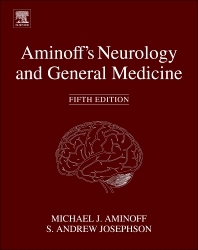 Aminoff's Neurology and General Medicine is the standard and classic reference providing comprehensive coverage of the relationship between neurologic practice and general medicine. As neurologists are asked to consult on general medical conditions, this reference provides an authoritative tool linking general medical conditions to specific neurologic issues and disorders. This is also a valuable tool for the general practitioner seeking to understand the neurologic aspects of their medical practice. Completely revised with new chapters covering metastatic disease, bladder disease, psychogenic disorders, dementia, and pre-operative and post-operative care of patients with neurologic disorders, this new edition will again be the go-to reference for both neurologists and general practitioners. Dr. Michael Aminoff was born and educated in England, graduating from University College London in 1962 and as a physician from University College Hospital Medical School in 1965. He subsequently trained in neurology and neurophysiology at The National Hospital (Queen Square) in London, and in 1974 moved to UCSF where he has been Professor of Neurology since 1982. He was Director of the Clinical Neurophysiology Laboratories at UCSF until 2004, when he became Executive Vice Chair of the department of neurology, and also directs the Parkinson’s Disease Clinic and Research Center, a National Parkinson Foundation Center of Excellence. He is the author of more than 230 published medical or scientific articles, as well as the author or editor of some 29 books. His published scientific contributions led to the award of a Doctorate in Science, an advanced doctorate in the Faculty of Science, by the University of London in 2000. He is the one of the two editors-in-chief of the four-volume Encyclopedia of the Neurological Sciences (2nd Edition, Academic Press, 2014), and one of the series editors of the multi-volume Handbook of Clinical Neurology (Elsevier). He was Editor-in Chief of the journal Muscle & Nerve from 1998 to 2007 and serves on numerous other editorial boards. He was a director of the American Board of Psychiatry & Neurology for 8 years, and chair of the board in 2011. Dr. Aminoff has received numerous prizes including the Lifetime Achievement Award of the American Association of Neuromuscular & Electrodiagnostic Medicine in 2006 and the A.B. Baker Award of the American Academy of Neurology for life-time achievements and contributions to medical education in 2007. In 2010, he was awarded the title of “Distinguished Professor” at the University of California, San Francisco. He is married and has three children, one a pediatric rheumatologist, another a federal defense attorney, and the third an assistant district attorney. Dr. S. Andrew Josephson is a neurologist who specializes in neurovascular and other neurologic disorders. At UCSF, he cares for general neurology and stroke patients in the hospital as well as in clinic. He is the Director and Founder of the UCSF Neurohospitalist Program and Fellowship, and Medical Director of Inpatient Neurology. He holds the Carmen Castro Franceschi and Gladyne K. Mitchell Neurohospitalist Distinguished Professorship. After graduating from Stanford University, Dr. Josephson earned his medical degree at Washington University in St. Louis. He completed an internship in internal medicine and a residency in neurology at UCSF, where he was chief resident. He also completed fellowships in neurovascular neurology (stroke) and behavioral neurology at UCSF. He is an associate professor of neurology and Vice-Chairman of the Department of Neurology. Dr. Josephson has won numerous teaching awards from medical students and residents including being selected to present the keynote speech for the School of Medicine Commencement; the Henry J. Kaiser Award for Excellence in Teaching; the Academic Senate Distinction in Teaching Award, and the Robert Layzer Golden Toe Award for resident teaching.